The span of the Roman Empire lasted from 27 BC until 500 years later with the fall of the Western Roman Empire around 476 AD. 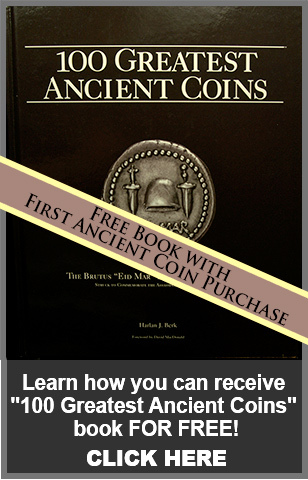 The demise was due to many factors including invading barbarians, Christianity displacing the traditional Roman religion, and a complete political collapse. Even though the western half of the empire was defeated, the Eastern Roman Empire continued on for another thousand years in the form of the Byzantine Empire. 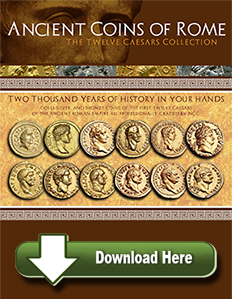 Ancient Roman Coins are some of the most popular ancients to collect. 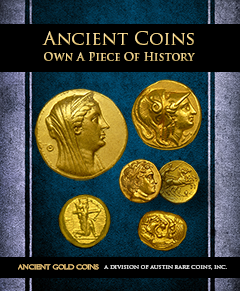 There are hundreds of different Roman Coins and even a beginner on a modest budget can find beautiful specimens for their collection that are true works of art.